Jamie McCallister has knowledge and experience that surpases most people in this industry. Based in London (UK), Jamie teaches and supports high-end clients around the world, including the BBC, Granada, MPC, Sony Pictures, and Apple themselves. In April of 2005, I was presenting at NAB for Apple. It's interesting ... when you put an Apple shirt on, you instantly become the face of the company ... at one point I was talking to three producers from a TV station in Bristol, England. "Apple needs better tech support for professionals in the UK," they told me, almost insinuating that I, in my black Apple shirt, should fix this - AND IMMEDIATELY! I told them to forget about Apple, and contact Jamie McCallister. "Oh, we know Jamie," they smiled, "he's saved us on several occasions." I know Jamie too, and it was at that moment I realized he is the best Apple video technician in the world, and I needed his expertise for our training programs. 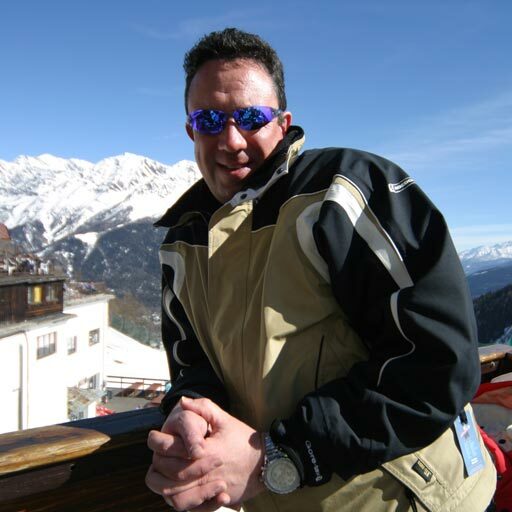 Jamie brings over 20 years of experience as an AV technician to his tutorial programs. Beginning his career at the BBC as a Lighting Cameraman, in the late 80s and early 90s Jamie progressed to editing for Trillion/Limehouse. There he honed his editing-chops on shows including "The Word" and "Have I Got News For You". Jamie next moved to setting up AV displays for large concert events, including the lighting, sound, and projection rigs for concerts by Queen and Pink Floyd. With knowledge in demand by everyone at the time, Apple found Jamie. For the next 10 years he worked at Apple UK's HQ close to Heathrow, which is where I first met him. At Apple, Jamie provided technical expertise in the Audio Video arenas. 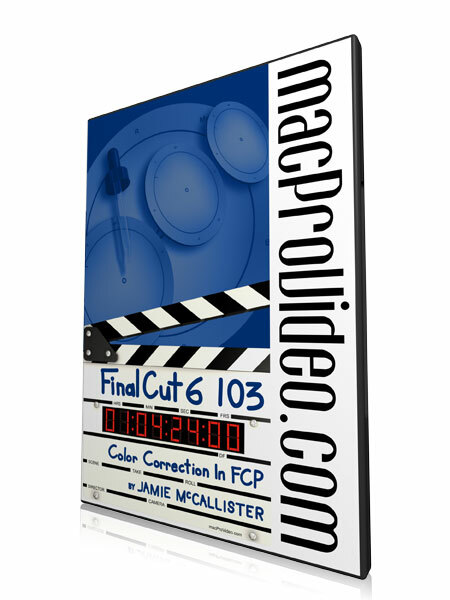 Indeed, Jamie was one of the first people in the UK called upon to help develop Final Cut Pro and DVD Studio Pro. Today, Jamie is one of the leading Apple Solutions experts in Europe providing Consultancy, Training, Technical and Creative support to the Film and TV industry including my friends from NAB, and the likes of the BBC, Granada, MPC, Sony Pictures, and Apple themselves. He has also written a number of technical articles and books for Apple. On the fun side, Jamie used to race motorcycles semi-professionally and signed for Honda, becoming 600cc champion and also spannered at the the world famous Isle of Man races building race winning bikes and still enjoys riding bikes today. And that's good, because all of this has made him one of the best trainers in the world for teaching Apple Pro applications. We are well-pleased to have him here, at macProVideo.com! 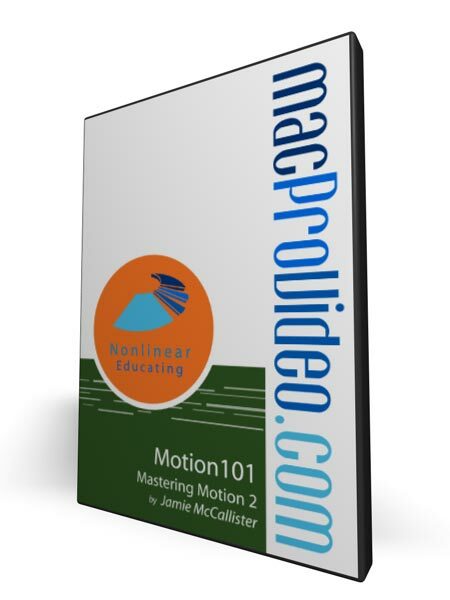 Learn how to create engaging motion graphics using Apple's Motion 2. Particle systems, behaviors, generators, and advanced effects in Motion 2! Color correction can dramatically improve the look of your video. And it's easy to do when you know a few tricks. These video tutorials show you how! Motion sure has come a distance compared to nowadays. None the less it still a very powerful moving graphics tool. This tutorial definitely covers a large topic. Great tutorial, even if you have a newer version of final cut is still worth to watch this videos. Such an important course, I loved learning a bit about color correction. It was hard for me (not native english speaker) understanding Jamie (sorry!) and sometimes sound is not great (and some media is missing) but at the end I really appreciated! Thanks! I purchased this alongside the 101 course, and it was money well spent. Colour correction is such a major part of successful video / film, and these tutorials certainly aided my development, allowing me to achieve great results quickly. I was however a little disappointed with the length of this tutorial when compared to the main FCP (101) set, and do feel that a little more ground could have been covered. Also, I have to say that the presentational style was lacking when compared to some other MPV products – the guy knows his stuff, but sounded a little board in some of his delivery! Overall, a good tutorial, but could have been a little better in my view. Love this tutorial, and all the others for Motion. I want more! It would be nice if there were a Advanced Motion Effects tutorial/guide outlining the different effects you can create creatively using blend modes, filters and camera work. Jamie presents his tutorials in a most relaxed yet insightful way. definately worth a look. Voice was a bit hard to hear and to understand (quiet and unmodulated) but the tutorial had me correcting the color of a badly white balanced interview in no time at all. Solid help with a well laid out course. I Would REALLY like to see a tutorial about rendering complex motion graphics,some tips about 32 bit ,16 bit ,how you can make your layered video look its best without buying a $10,000 mac pro, its the future hopefully but all I have right now is a macbook pro and a G5. Keep up the good work. In my opinion this Tutorial is quite comprehensive and covers all the Color Correction in FCP 6.